Giacomo Manzu, whose work often mixed religious, allegorical and sexual imagery, was best known outside Italy for the monumental bronze doors he made for St. Peter’s Basilica, the Cathedral of Salzburg, Austria, and the St. Laurens Church in Rotterdam, the Netherlands. But in a career that covered nearly seven decades, he also made portrait busts, female nudes, sets and costumes for the composer Igor Stravinsky, and secular works for public spaces, among them two reliefs for the Palazzo d’Italia in Rockefeller Center. A large bronze of a woman holding a baby stands at the United Nations headquarters. In 1969 a permanent gallery of his work was built in Ardea with money donated by prominent patrons from 14 countries. Cardinals and Communism. His long, prolific life, his stance against war and his graceful, mildly ironic style — his work often included homely details like a straight-backed chair — made the sculptor something of a national institution. In front of St. Peter’s Basilica, there are five bronze doors, and the one on the far left, as you’re facing the basilica, is referred to as the ‘Door of Death.’ The reason it’s called this is because, traditionally speaking, those are the doors they take the bodies of the popes through for the last time before they bury them in the crypt of St. Peter’s. So, over time it got the nickname of the ‘Door of Death,’ because that is where the bodies were brought through. On the image of the Door of Death there is a whole series of scenes of saints dying, including Jesus and Mary. And it was a door that was actually commissioned by Pope John XXIII to be redone. The old one was being replaced, and there was a big contest in regards to who was going to get the commission. Eventually a Communist atheist won the commission. 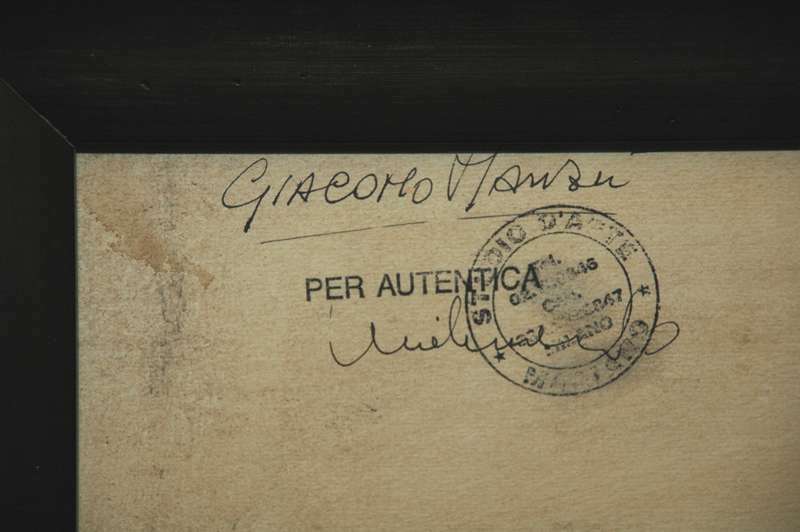 He was Giacomo Manzu who became a great friend to Pope John XXIII. Imagine! This Communist atheist won the right to create the door right in the height of Communist strength throughout the world. And as Manzu was actually doing the Door of Death, Pope John himself died. And so what Manzu wanted to do to honor his patron, to honor his good friend, was to change the final panel. Originally, it would have been an image of a saint dying. So he changed the final panel to be an image of his friend, John XXIII. 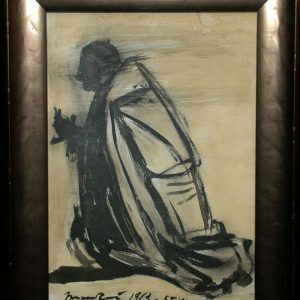 The artifact we have here is actually an original charcoal sketch from Manzu as he prepared to do this final panel for the Door of Death. Again, it’s an historic item connected not just with John XXIII, but also with St. Peter’s itself. 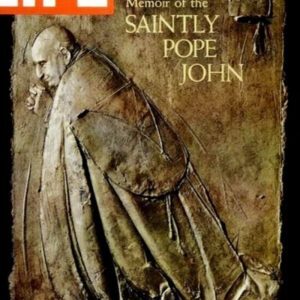 And so it has been on the cover of books and of Time magazine–this actual sketch–because of the relationship between this Communist atheist with the good holy Pope and the significant role he played in the creation of this door of the Basilica. The question people always asked me is how I got this item. 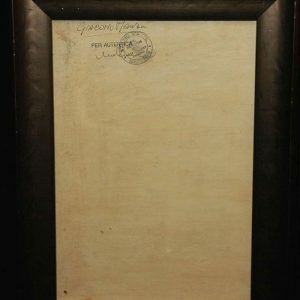 This item was actually put at auction. There was a woman who was married to a man very close to Manzu. And she was in Milan. And after he died she was cleaning out his papers in the attic and in all his files, and she came across this item. It was literally rolled up. 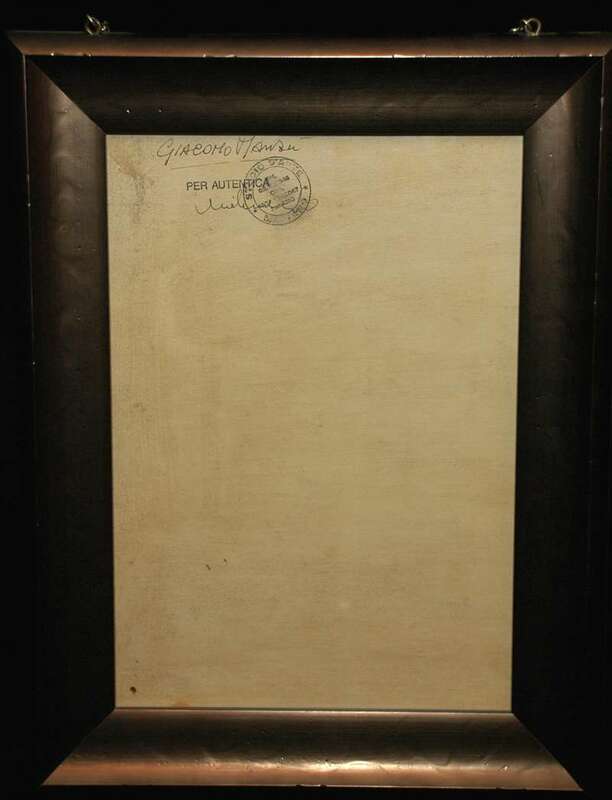 And so she saw it and thought, “Well, this must have a certain amount of importance to it.” And so, sure enough, she offered it at auction, and you can see that on the backside of it, it actually has a stamp from Manzu, authenticating it, with his signature. 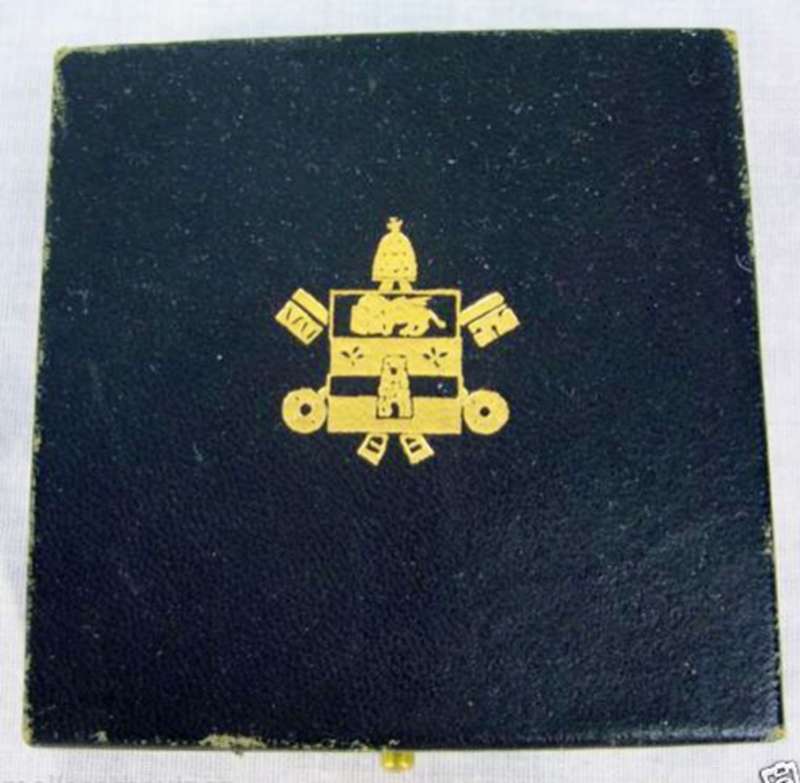 He signed underneath, on the bottom of the image of the Pope, and then he dated it, 1963, the year of the Door of Death. 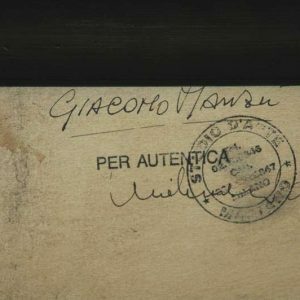 And then the backside also shows his signature and the stamp authenticating it. So lots of these items are still locked up and in people’s files. I’m just waiting for the next thing to come along. All of these items have their little history about how they got out. And that’s the history of this item! An added piece of information involves the inclusion on the Door of Death of the death of Mary who is portrayed in one of the panels. The Church has always been involved in the long-standing debate as to whether or not Mary biologically died. The Holy See has never made a theological statement about that one way or the other. And so looking at the tradition of theological debates, the Church actually accepts both as being valid and orthodox in accepting that either Mary died biologically or she didn’t. The important thing is that she was assumed into Heaven bodily. You can actually see her tomb in Jerusalem. There are strong arguments for her death and strong arguments for her non-death. 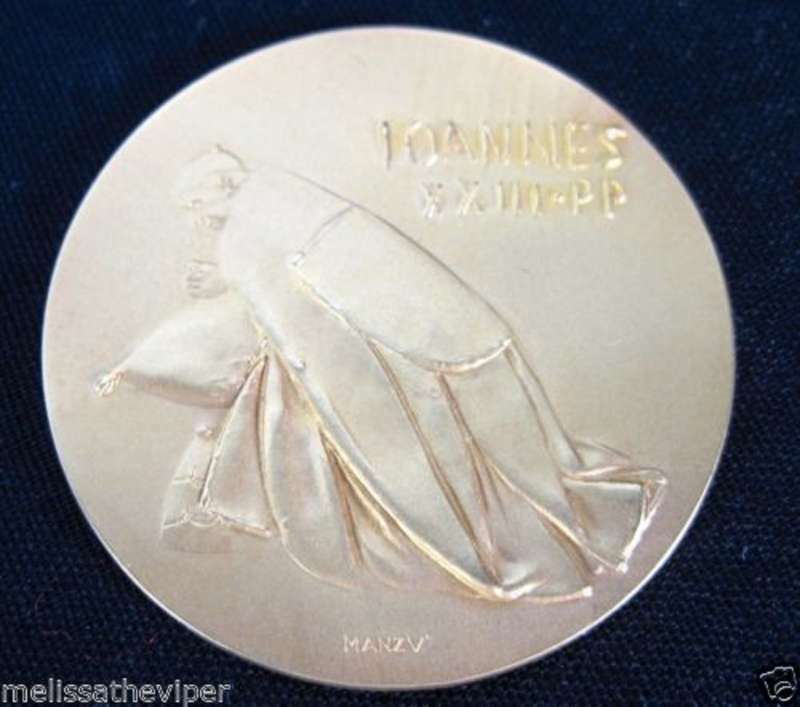 This is a 1964 very rare Vatican City gold medal commemorating the death of Pope John XXIII. 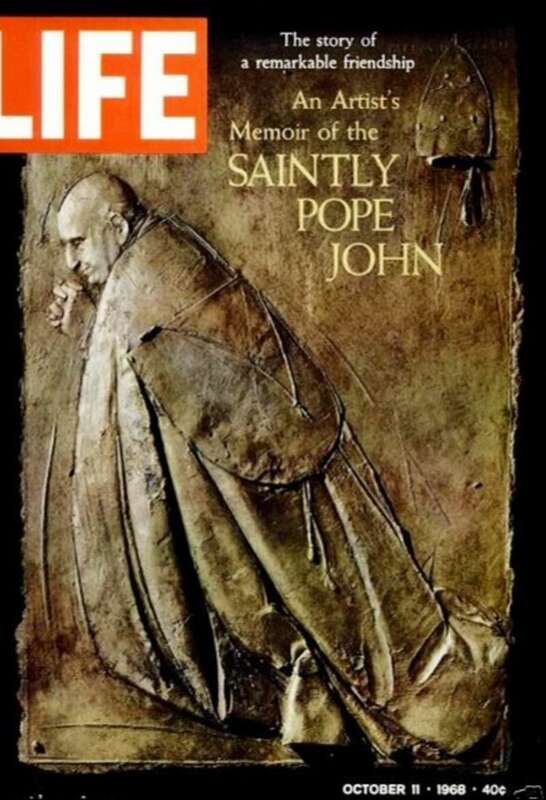 It was created by his long-time friend, Giacomo Manzu, who was commissioned to create new panels on the Door of Death at Saint Peter’s Basilica (featured on the cover of Life magazine from October 1968). 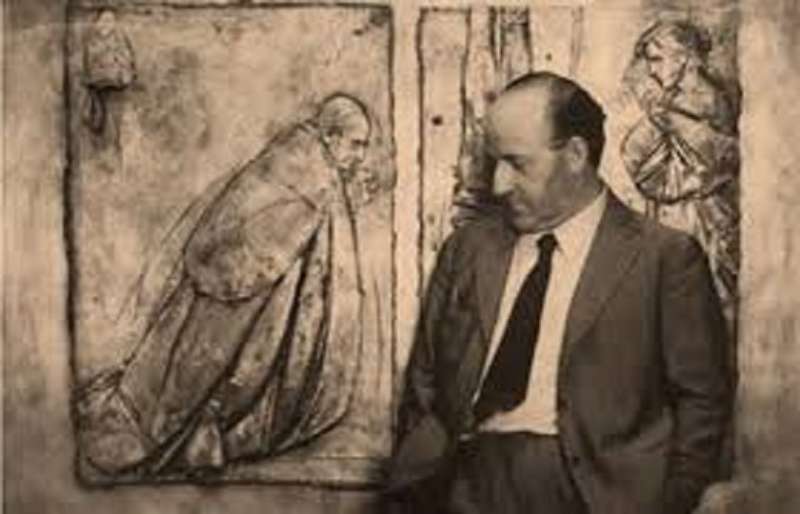 He is also the artist who created the floor panel of Pope John XXIII’s coat of arms at the entrance to St. Peter’s Basilica. 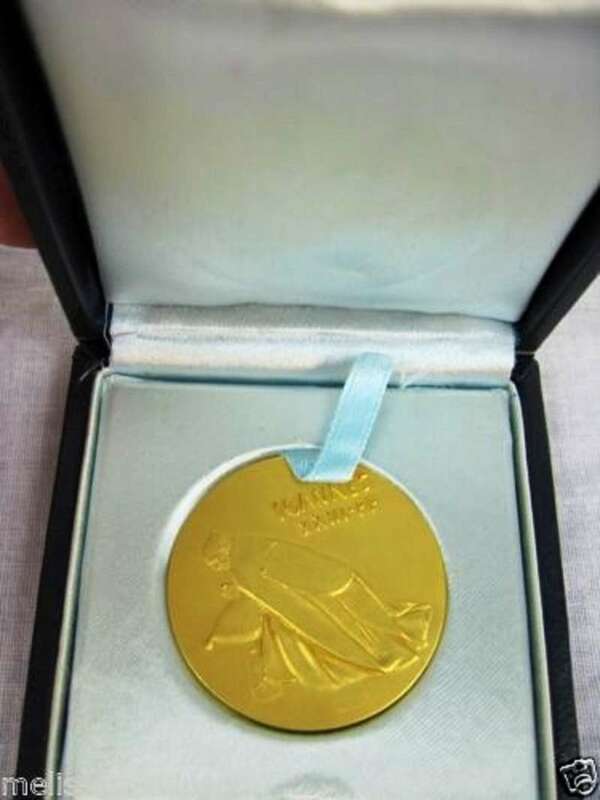 The medal is considered to be very rare, with only one other that was found at a museum in the UK. 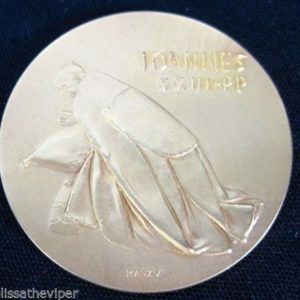 This is Pope John’s death medal. On the front is his name in Latin, Johannes XXIII PP. 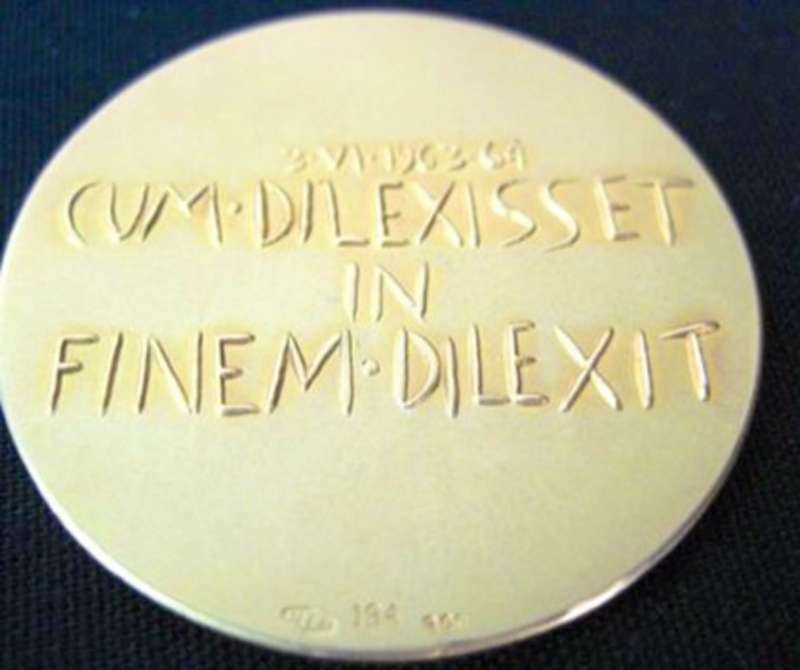 Dilexisset in finem. 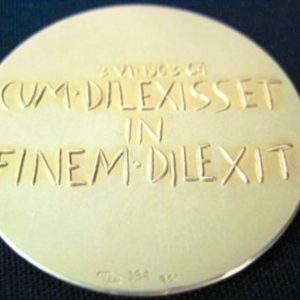 Dilexit. Translated, He loved him to the end. Loved. His most controversial work was the “Door of Death” at St. Peter’s Basilica, standing 20 feet high and 11 feet wide, to the left of the main entrance. 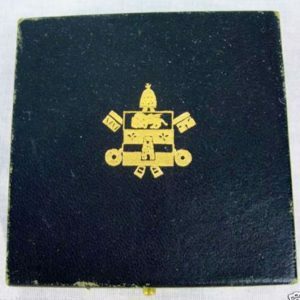 Commissioned by the Vatican in the early 1950’s, it was not completed until 1964, after the death of Mr. Manzu’s close friend, Pope John XXIII, who had prodded him to finish it. Mr. Manzu was born on Dec. 22, 1908, one of many children of a poor shoemaker and his wife. The family name was Manzoni, but the sculptor later changed it to Manzu. At the age of 11, he began working for a local carpenter; later he worked for a gilder who made plaster decorations. A family friend once said that his first sculptures were made of wax left over from candles in the church where his father was a sacristan. In 1938, he attracted the attention of critics when he exhibited the first of his long series of bronze sculptures of cardinals in Milan. Always a figurative sculptor, he nevertheless regarded the cardinals as his “abstractions” because he was not interested in their religious content but in their form and line. 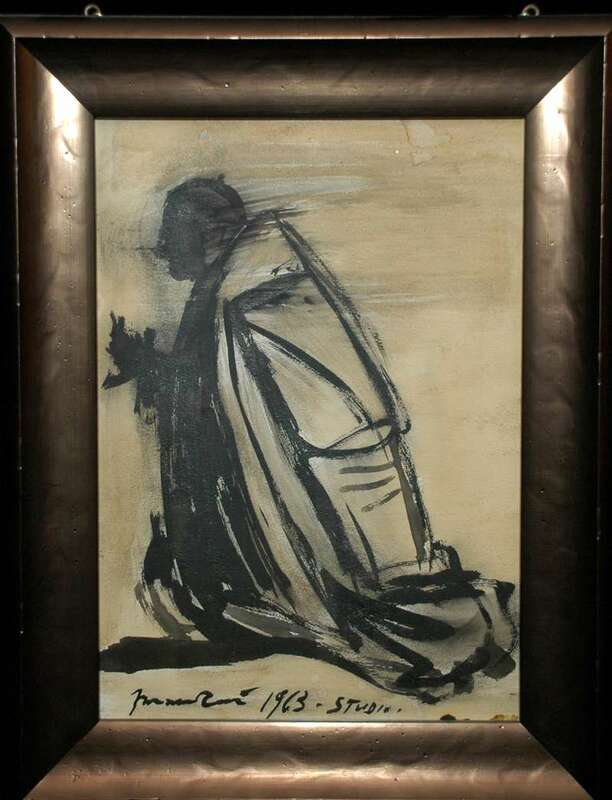 He taught art at the Brera Academy in Milan; illustrated several books of poetry, including one by the Sicilian poet Salvatore Quasimodo, and designed sets and costumes for his friend Stravinsky’s opera “Oedipus Rex” at the composer’s request. He also designed Stravinksy’s tomb in Venice. Although he never took an active part in politics, he said he was a man of the left and voted Communist. In 1968 he received a Lenin Peace Prize from the Soviet Government for his stance against United States policies in Vietnam. His friends liked to say that the shy, modest Mr. Manzu was a humanist and that there was no paradox in the fact that he could sculpture the bust of a pope and the crucifixion of Christ, and also design a monument to Lenin, which stands on the island of Capri. Mr. Manzu is survived by his wife, Inge. Information on surviving children was incomplete.